Do you love your rug? Area rugs are a significant investment in décor that will benefit significantly from a professional cleaner such as Palm Beach Oriental Rug Cleaning Pros. Improper cleaning can damage fibers, bleed colors and leave a messy, dirt attracting residue. Our safe and effective cleaning process leaves zero soapy, dirt-attracting residue behind so your area rugs will look and feel like new! 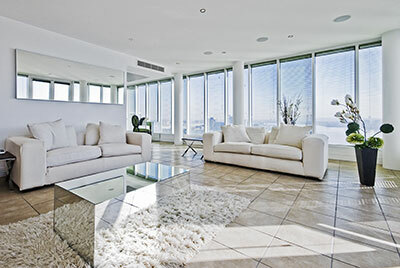 Some of the concerns related to area rug cleaning specifically are: backing systems including latex issues and skrim attachment issues, cleanability of primary fibers (sisal or plant fiber rugs) and structural integrity (i.e. braided rugs). 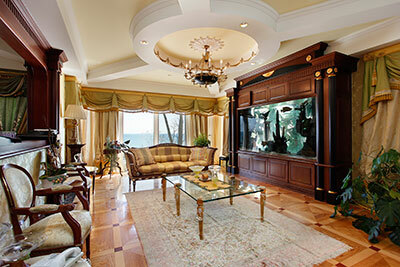 Area rugs can suffer from many ills. From simple traffic and soiling issues, to food and beverage spills, to the wrong kind of attention from the family pet. For the purposes of our discussion we’re going to treat area rug cleaning as being distinct from traditional Oriental rug cleaning. Tufted wool rugs - This rug is easy to spot, because it has a latex backing covered by a fabric skrim. These rugs are very popular and can be found in every size and design imaginable. Tufted rugs can be a challenge to clean thoroughly. This is because it is rarely advisable to completely immerse them in the washing process. The latex used in the backing is subject to breaking down, especially in the presence of large volumes of water. 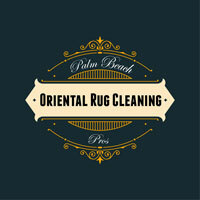 We have the ability at Palm Beach Oriental Rug Cleaning Pros to thoroughly clean and more importantly to completely and quickly dry challenging rugs like these. Braided rugs – forming a circular or oval shape these rugs have surface fibers most commonly of wool or cotton. The fibers are twisted into a cord, and then coiled and its edges are stitched together. These rugs can generally be cleaned using our standard area rug cleaning process, with the occasional exception of the full immersion rinsing, due to filler material issues. The things we look for when cleaning these rugs are the integrity of the surface fibers, the structural integrity of the rug as a whole (stitching) and the colorfastness of the rug (not so much of the surface fibers but rather any filler material in the coils, especially colored cardboard). Nylon rugs – nylon rugs can be machine-woven, like some oriental rugs, or they can be regular broadloom products with primary and secondary backings, just like your wall-to-wall carpet. They can have a plain look with just serged edges, or they can have some form of decorative fringe attached.